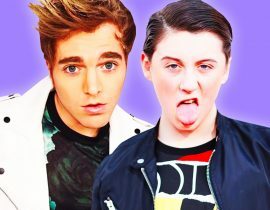 Shane Dawson recently blasted the Teen Choice Awards for being “fake”, “rigged” and “disgusting” during his yearly anti-TCA Twitter rant. 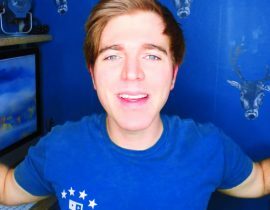 Although everybody knows that your votes don’t actually count, Shane wanted to remind everybody yet again. 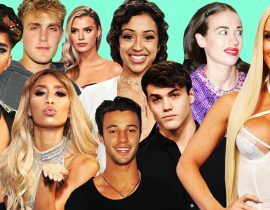 Everyone from Cameron Dallas, Nash Grier and Matthew Espinosa – to the Janoskians – have spoken out against the “rigged” awards show. 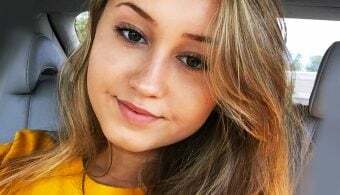 In fact, Cameron Dallas once revealed that he was informed of his win by the producers, way before the voting period actually closed. 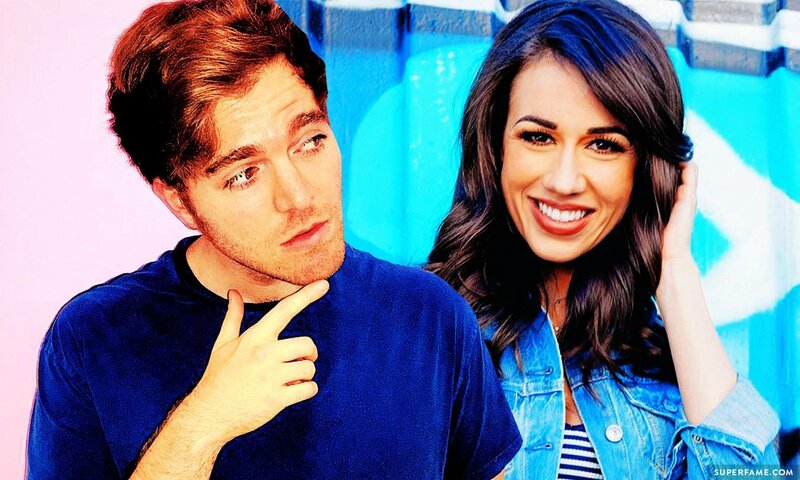 Last year, the Janoskians threw shade at Miranda Sings after analytics revealed that they actually had the most votes – but still lost to Colleen because producers picked her instead. 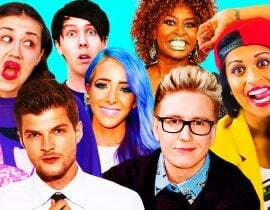 However, his fellow YouTube buddies (like Joey Graceffa) did not listen, and still begged fans to vote. 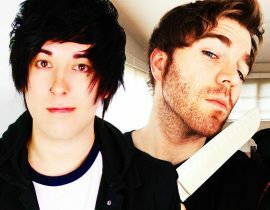 Shane also revealed that he still has NOT received his surfboard award after winning a TCA a whopping SIX years ago. “You do not even get a surfboard. Trust me. I am still waiting.” He revealed that the producers told him it was “still in the mail”. 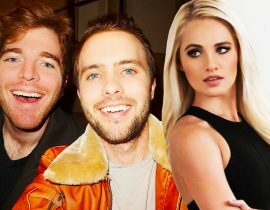 Shane said he was fed up of Hollywood “using” YouTubers for their fans. 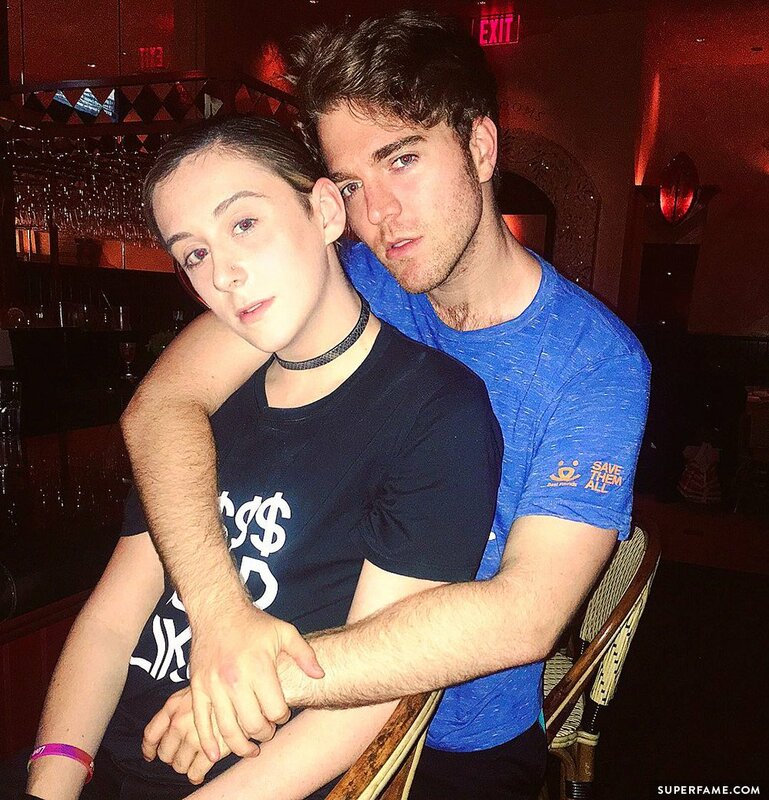 Things took a turn, and Shane quoted a tweet from the TCA Twitter account. 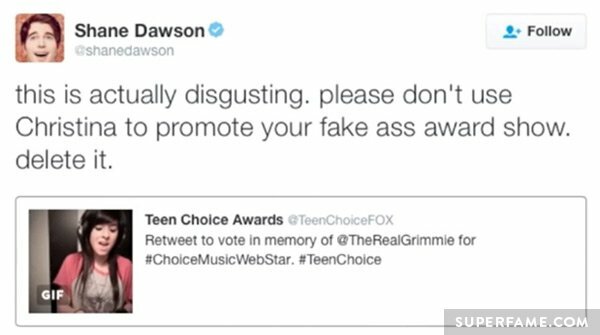 He was furious that the Teen Choice Awards were using Christina Grimmie’s death to promote their “fake a** show”. Colleen Ballinger also had some things to say about the awards show. 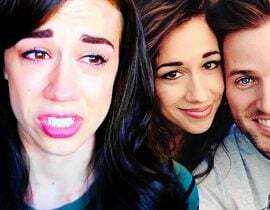 Colleen Ballinger also said that she never received her award, despite winning last year. 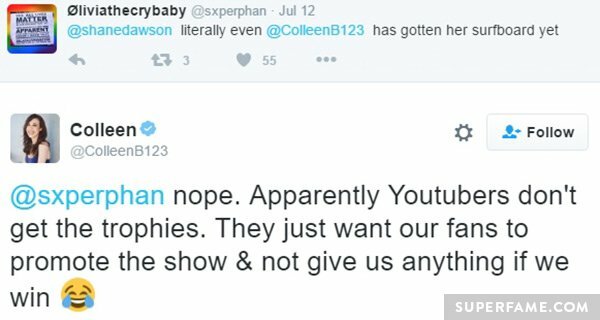 “Apparently, YouTubers don’t get trophies,” she said. 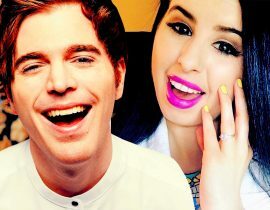 She insinuated that producers only use YouTubers to promote the show, giving them nothing in return. 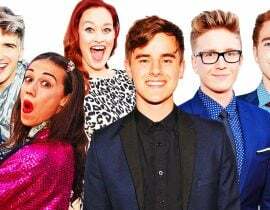 However, other YouTubers like Tyler Oakley and Bethany Mota have received their awards – causing fans to think that the TCAs only give out awards if you actually attend the event in person.